This mask has revolutionized the diving industry with new and unique technical principles that have introduced a milestone. For the first time, the crystals are not parallel longitudinally face it, starting with a simple but undeniable concept extend to placing them on the cheeks, real natural barrier to lower visibility. Combining this with studied geometry inclination thereof is protected by a global patent. The mount is very subtle and invisible to the diver with the mask placed. 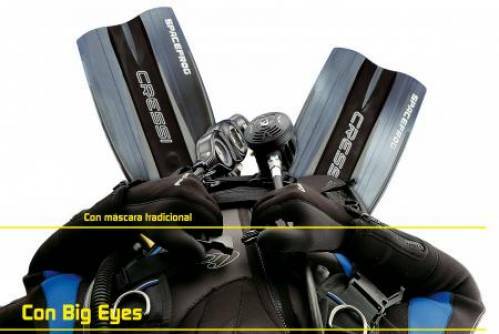 Visibility in all directions, but especially down, reaches unthinkable values, exceeding 30% that of a traditional mask and allowing comfort and precision in placement and check the equipment in water impossible until now. The inclination of the crystals and facial configuration drastically reduce the interior volume of the mask, which is similar to diving models midsize and even small. The facial soft silicone and the wide contact surface makes it very comfortable to use. Two tilting buckles guarantee strip regulation fast and accurate. 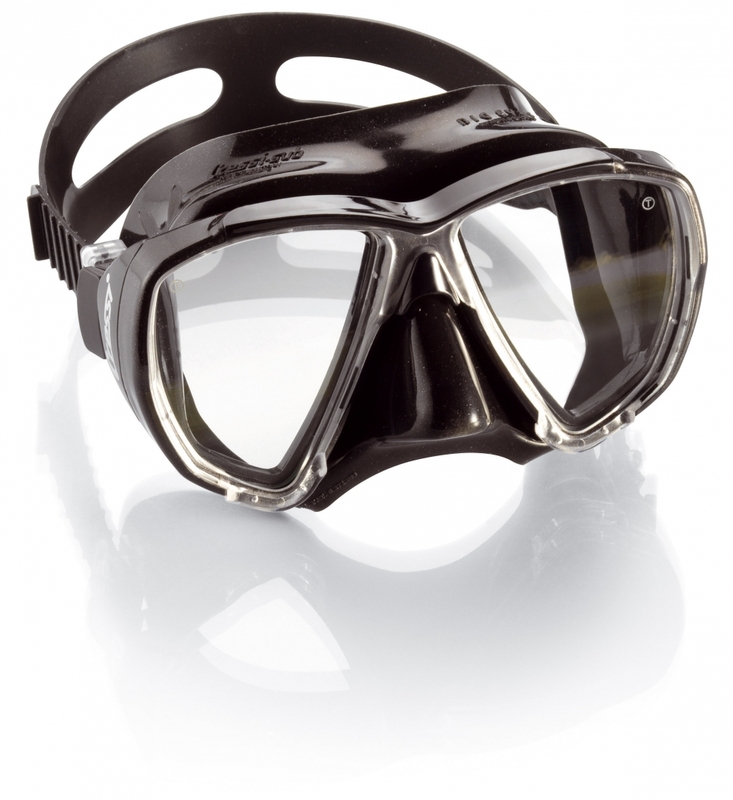 Excellent mask for snorkeling, diving, technical diving and apnea medium depth.